Based in Calgary, Kwick Towing Inc has been servicing Calgary and its surrounding areas since 2001. Our team of licensed drivers and technicians are highly experienced in tow away or vehicle transportation from one location to another. No matter what type of vehicle you have and from where you want to tow your vehicle and where you want it delivered. We have an amazing crew or technicians and a wide range of towing equipment to handle all types of vehicle breakdowns and meet towing needs of our customers, whether it is local or long distance towing, we service both. Our towing Charges starts from $59 + $ 3 per K.M. but rates may vary according to situation and weather. so please confirm the price before booking the tow. As we have more than 15 years of experience and the best team in Calgary, we assure you for a fast, professional and courteous service. To make sure, you are getting the quality services that you deserve, we keep our towing trucks and other equipment well maintained. As the most renowned towing company in Calgary, we have established our self as a recognized brand in towing and automotive industry in Canadian province Alberta. Our services areas include Chestermere, Langdon, Conrich, Strathmore, Calgary and surrounding areas. We transport vehicles in all over Calgary and Alberta. 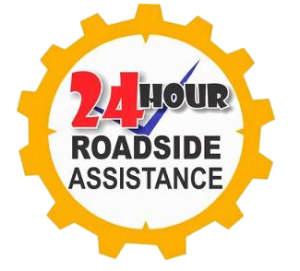 Kwick Towing offers 24/7 hours towing and emergency roadside services around the Calgary that help you in handling your vehicle breakdown. From unlocking the doors to towing your vehicles, we provide complete towing solutions that help you in getting back you on drive. Advanced Resources and Equipment: at Kwick Towing Inc, we hire only passionate engineers and drivers who love to work for and serve customers and advanced tools to handle all situations of vehicle breakdowns. Our team place each customer on top priority but it doesn’t mean we do not care about the technology. We use most advanced tools in the industry to provide you qualitative services. Experience: As a towing company, we have been servicing since 2001 however we’ve been towing vehicles since the mid-nineties. We are able to tow any vehicle anywhere and anytime in Calgary. Our team is capable to tow cars, atvs, vans, boats, light trucks/machinery, forklifts, bobcats, excavators, containers, motorcycle, containers, caravans, motor homes, trailers, horse floats, bog work, vehicle retrieval, salvage, accidental and fleet cars works etc. 24/7 Customer Support: Our representatives are available 24/7 hours to assist you. You may call us for make an inquiry, request quotes and emergency services any time, any day and from anywhere around the Calgary, Alberta. Pricing: Our prices are designed to scale with the type of vehicle, service and miles being towed. Don’t worry about pricing, we don’t over charge, we charge the best and possible prices. You may request for quotes by calling us, or filling our contact form or emailing us.